Teresa Lewis is a Senior Accredited psychotherapist with the BACP. During her 24 years of active clinical practice she has completed over 15,000 therapy sessions and has successfully dealt with a wide range of issues from anger management to health anxiety. 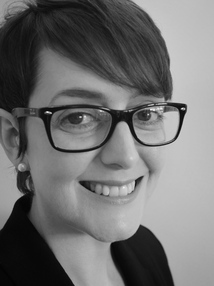 Teresa holds a Masters degree in counselling and psychotherapy and is a qualified EMDR Practitioner having completed training accredited with EMDR Europe. Teresa is a trained adult educator and has lectured extensively in the field of counselling and psychotherapy. She is also a mindfulness teacher and currently divides her time between clinical practice and training others. As a recognised expert in her field Teresa is frequently asked to conduct editorial reviews and endorse counselling and psychotherapy books for international publishing houses. Deansgate has been refurbished to an exceptionally high specification, it is a landmark property that dates back to the early 18th Century and has retained its period features throughout. We are situated on the ground floor and there is full disabled access at the rear of the building. There is a free onsite car park at the front and rear of the building. Teresa is a qualified adult educator and has lectured extensively in the fields of counselling, psychotherapy and mindfulness. Teresa has delivered mindfulness training to groups and senior individuals in a wide range of organisations including Ricoh, Assa Abloy, Wolverhampton Academy Trust and The Crown Prosecution Service. She has also trained NHS clinicians and other psychotherapists in mindfulness skills and runs courses for the general public. Courses can also be held at business premises as required.